SABIC’s Innovative Plastics business today announced its new patent-pending Lexapanel™ polycarbonate (PC) sheet standing seam technology to give architects and builders exceptional flexibility to create sustainable and beautiful translucent roofing and other glazing elements. Lexapanel sheet was developed in collaboration with AmeriLux International, LLC, an authorized North American distributor of SABIC’s Lexan™ Thermoclear™ and Thermoclick™ sheet products. Compared with other standing seam solutions, the new offering provides customers in North America and Europe with far more glazing options, including choice of width, thickness, coating, color, structure and type of connection. Further, Lexapanel sheet delivers the strength, weatherability, clarity and thermal insulation of SABIC’s renowned Lexan PC multiwall sheet. This joint, high-performance solution demonstrates SABIC’s commitment in developing sustainable solutions that promote energy conservation while providing customer focused day-lighting solutions to improve working and living environments. The Lexapanel sheet standing seam system joins Lexan multiwall sheet panels of virtually any length and width with a choice of connectors, including U-shaped, tongue and groove and custom configurations. Customers can specify the structure, thickness and color of the Lexan sheet, as well as the coating they require, including unique enhanced ultraviolet (UV) resistant coating. SABIC supplies the Lexan multiwall sheet products and profiles and AmeriLux is responsible for product conversion, assembly and distribution. In addition to roofing, Lexapanel sheet standing seam systems can be used for many other types of glazing applications, such as walkways, canopies, skylights, and shelters. Translucent Lexan multiwall PC glazing delivers many benefits to customers and end users. Environmentally, this solution offers excellent thermal insulation that may reduce energy used for heating and cooling, and permits natural light to reduce the need for artificial illumination. Its light weight contributes to reduced fuel use and emissions in shipping. The material is durable, impact-resistant and strong to ensure safety, and complies with CC1 (ASTM D635) and Class A (ASTM E-84) smoke and fire ratings. Both sides of Lexan sheet are treated with proprietary UV protection against outdoor weathering. Accelerated 4,000-hour weathering tests (DIN53387 / ASTM G26) performed by SABIC, show Lexan sheet’s excellent ability to maintain color, light transmission and impact strength in up to 15 years of outdoor exposure in moderate climate conditions. Available in a broad range of other colors, Lexan sheet also provides a variety of specialty coatings. All connection systems are tested for mechanical properties, weathering stability and water/air penetration. 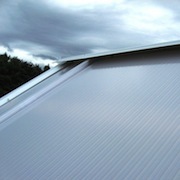 The Lexapanel sheet system may also reduce system costs through simplified installation thanks to the snap-on connection and elimination of aluminum connectors, reducing installation time and cost and increasing the total light coming through the roof. For additional information on SABIC’s Lexan multiwall sheet products, please go to www.sabic-ip.com. For technical product inquiries, please contact us at www.sabic-ip.com/prtechinquiry. 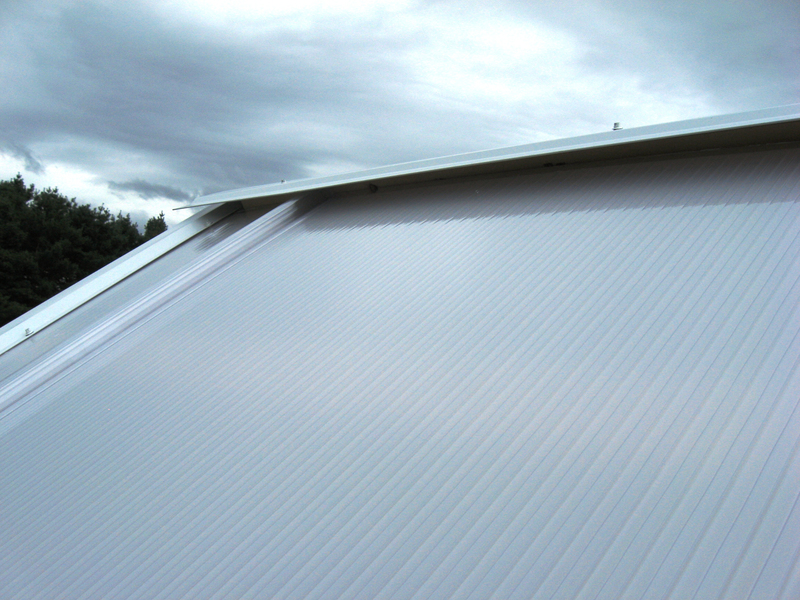 AmeriLux International, LLC, a worldwide distributor of multiwall and corrugated polycarbonate sheeting, has a diverse and comprehensive product offering. A proud strategic partner of SABIC’s Innovative Plastics business, AmeriLux distributes Lexan™ Thermoclear™ and Verolite™ multiwall sheets, Lexan™ corrugated sheet products and Lexan™ Thermoclick™ sheet. Additionally, AmeriLux provides their customers with a full line of PVC products, FRP, steel tubing, and steel coil. For a complete product listing or more information about how their team of engineers and customer service professionals can serve you, visit AmeriLux International online at www.ameriluxinternational.com.